The exhibition Make of / Make do surveys Lees production from 1997 to 2014 and includes her most recent works of 2015-17. 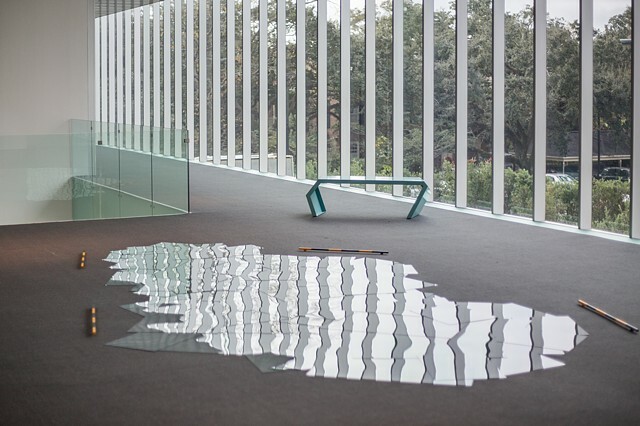 In these later pieces, the themes of her earlier gardens and ponds undergo projection onto the vertical plane of the wall and onto new landscape features, such as mountains. Lees art is defined by a dynamic tension between the spontaneous and potentially endless process of making use of salvaged and commonly available materialsand the arrival at a finely-tuned, definitive external structure.